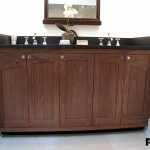 This cherry vanity can be found in a home not far from Rittenhouse Square in Philadelphia. 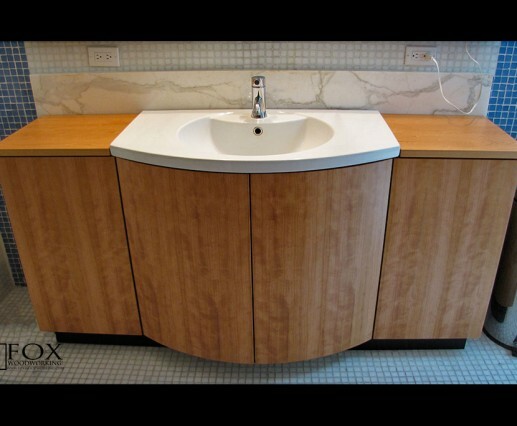 While it looks as though the sink is built into the cabinet, it is, actually, a wall-mounted sink. 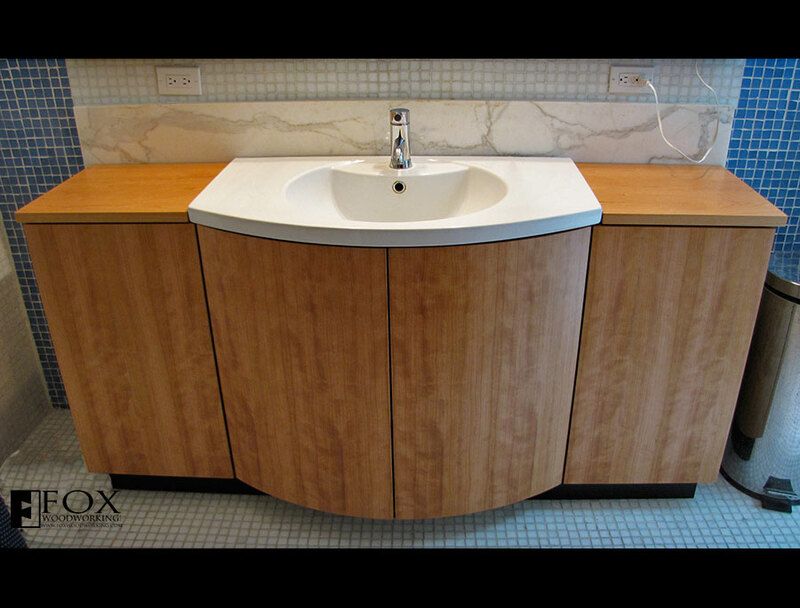 We built the cherry vanity to encase the preexisting sink. The bowed front doors operate via touch latches - so do the side doors. By not using door pulls, we were able to keep the lines of the cabinet sleek and clean. 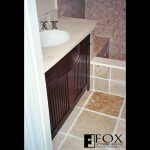 The addition of the two flanking cabinets create additional storage space and much needed countertop space.